It was indeed a relief when the touchscreen interface came into effect. The use of the fingers on the cell phone display made everything seem too easy. Navigation was a cinch and no one can discount the glamorous part as well. Well, the PC world has woken up to the fact that this could be a great investment for them too. Windows Touch has entered the world of multitouch technology. It comes with the integration of Windows 7 with a touchscreen PC. Just a tap of the fingertips and the whole display transforms under your eyes. 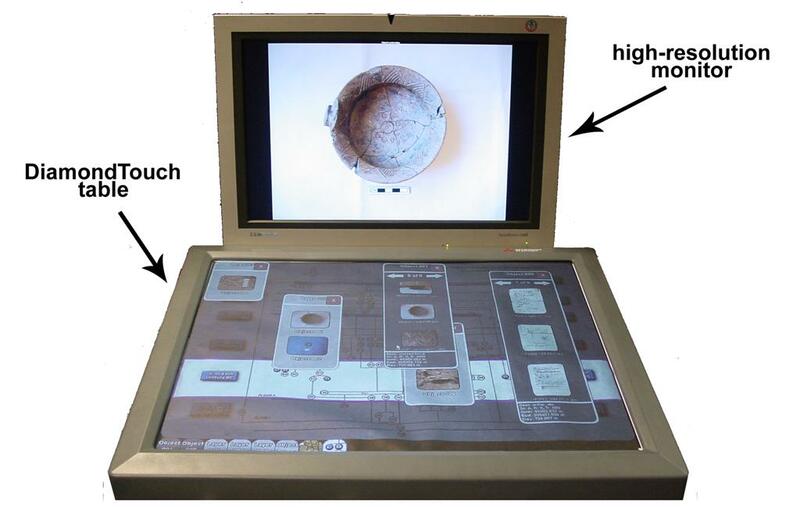 The multitouch gestures have been modeled on the very same gestures that you used to make with the mouse. The double click has been transformed into two consecutive taps of the fingertips. This post is a chronicle of how I built a cheap multi-touch by consulting Howto guide of MTMini. Just for fun. US20090273570 illustrates how Apple Magic Mouse works. Compare it with other Magic Mouse teardown reports. Apple and Microsoft independently unveiled multi touch mice. They are not only children of old WIMP interaction but also fathers of new touch UI paradigm – What You Hold Knows What You Want. Keystick – An Extremely Handy Multi-foldable Portable Keyboard! With every gadget having the single goal to be small and handy, portable gadgets are much in demand rather than the heavier and bigger devices. Talk about a thin netbook or a small mobile phone, all we need is small items that takes less space while packing and doesn’t add to the weight of your backpack. 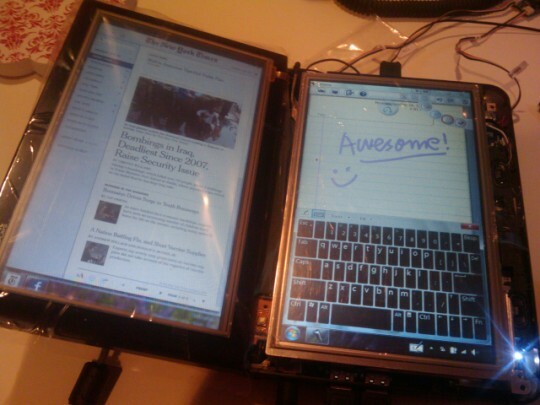 Foldable and Portable devices are much in demand as they are easy to carry and more refined now a days. This is the reason why manufacturers want to make devices smaller and smaller. If you find the keyboard of your laptop is too clumsy, then you can always try a Multi Foldable Portable Keyboard. Designed to fit all your keyboard needs without giving you a small enough keyboard space, this portable device is very easy to type. Still in the concept stage, Keystick would prove to be a smart device to carry with your mobile phone or small laptop. Wouldn’t it be great if we could customize colors just like we customize caller tunes in cell phones? We could change the color of the cell phone according to the dress that we wear. Similarly, mp3 players could change hues along with a change in song or type of music. In fact, the day is not very far away when this will be a reality. Philips has introduced an innovative technology called E-skin which will personalize electronic equipment. It is an exciting color e-paper technology which can change the appearance of any electronic gadget like a cell phone or an mp3 player with just the touch of a button. If we extrapolate our ideas then perhaps this technology can be used to alter the color of the wall or change the ambiance of the smart windows in the future. E-paper or electronic paper is just like regular paper and uses visible light to create the change in color. There is no backlight involved and the vividness of the color remains the same under any lighting conditions. This technology makes sure that different colors are weaved into one layer which is all controlled separately. There can be a completely transparent layer, a totally dark one or one with a mixture of colors. And that’s not all; you can also get any shade you require by controlling the saturation of the colors. Since ambient light is behind this technology, it is energy efficient and portable too. The E-skin technology is expected to make a small beginning with tiny gadgets like cell phones and mp3 players. But later on, it can go on to change the entire aura and décor of hospital diagnostic rooms and even fit the MRI and CT scanner to make the patient feel more comfortable. The process which makes this possible is called electrophoresis which uses an electric field to control the motion of surface charges of the particles in suspension. The technology behind monochrome e-paper was improved to adapt to polychrome ones too. The in-plane electrophoresis involves applying an electric field parallel to the surface of a suspension containing a pixel with colored particles. The colored particles spread in all directions of the pixel turning it dark. Similar modifications can make it transparent and colorful too. With everything being transformed into a lively and colorful atmosphere, life cannot remain untouched from the glories of it. Kent Displays already has implemented a working prototype of E-skin for mobile phones. How to interact with REALLY small devices? He has developed many cool touch UIs - Lumino, Nanotouch, Touch Projector, and Disappearing Mobile Devices, to cite a few. A few days ago, I’ve got an email from a reader saying “can u help me with the sensors to be used for sensing braille”. I’m not a specialist in assistive technologies nor recognition algorithms. But I determined to try to find an answer because touch UI, ironically, is related with assistive technologies for the visually impaired. And here I write down googling results about the topic. View more documents from Justin Lee. It has 3-axis acceleration sensor and 2-axis pitch and yaw rate sensor. So, it fits most entry-level (e.g. handhelds) motion sensing. It is a cross platform app. framwork to enablemulti-focus interaction. GelSight achieves a high-precision tactile sensing. It can even detect fingerprints. GelForce at Tachi Lab utilizes a transparent elastic material, two layers of blue and red markers, and a camera. When a user touches GelForce, the blue and red markers are distorted. The camera acquires the image and calculate the magnitude and direction of the applied force. Fibratus tactile sensor provides a new way of sensing mothers’ soft touches. This hairy (furry?) sensor is composed of flexible fibers, silicon rubbers, patterned surfaces and a CCD camera. TOC of ACM SIGGRAPH Asia 2009 has been released. Check it out at ACM Digital Library. Resistive, Capacitive, and now Magnetic Touch! Pleasanton, CA – December 16, 2009 – NextWindow, the world’s leading provider of optical touch screens for desktop PCs and monitors, today announced that another all-in-one PC using NextWindow touch screens has begun shipping. Top computer maker Dell is now offering the Inspiron One 19, an all-in-one PC featuring a 19” touch screen from NextWindow. The Inspiron One 19 is the third desktop PC or monitor from Dell to include NextWindow touch screens. The others—the Dell Studio One 19 all-in-one PC and the Dell SX2210T desktop monitor—already have been announced. Dell is one of many high-profile PC makers to have selected NextWindow. Among the other Touch PCs using NextWindow touch screens are the Medion X9613, the NEC ValueStar W, and the Sony L Series. I can’t understand why they use a E-ink display for just controlling robot. When we perceive the world around us with our eyes, we seldom realize the gift that we have got. Eyes are so precious that it is difficult to imagine how the blind can manage their life without this beautiful creation. To help the blind overcome their incapacity to see and read, Braille was discovered as a medium of instruction. But today, there is a still more ingenuous device being built which can enable the blind to “see” with their tongue. Although difficult to envisage, a Tongue Display Unit (TDU) can introduce electro tactile signals in the tongue which will help transmit visual images to the brain. Not even Nintendo could have imagined the plethora of possibilities which Sony has envisioned. This time, Sony wants to be one up on the peripheral-happy Nintendo by exploring a number of possibilities for a forthcoming motion controller with a variety of attachments. This has come to light when Sony Computer Entertainment launched a patent for "Expandable Control Device Via Hardware Attachment". It proclaims the possibility of combining two motion controller units length-wise or in the H-shape. This will provide a number of control options which will even put the Wii remote to shame. A unique, secondary controller attachment may put together one DualShock and one motion controller. This prototype was mentioned as a possibility at Sony’s Tokyo Game Show press conference. Hot Virtual Keyboard is the Windows virtual keyboard software for Windows and Touchscreens. 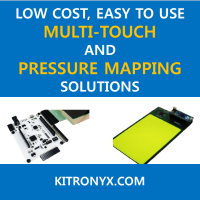 Capacitive sensing is not just for touch. See also: Smart Measure Cup – Displays Volume Accurately! Digital desk using MERL DiamondTouch table. Power up your office with touch and AR technologies. I want to have a desk like it. It has been some years now that bio circuits have been in action. They are a form of vibration healing which has been developed after several studies involving chemists, doctors, psychologists and other professionals. These bio circuits have a special healing capability which is brought about by balancing the bodily energy. This can be achieved by connecting the meridian terminations based in the hands to the points near the bottom of the spine and the base of the neck. The energy flows through the copper electrodes connected to the meridian via copper wires to the copper screen which radiate the energy. The whole experience brings energy flooding back to your veins and you feel rejuvenated. With video games riding the wave of popularity and manufacturers queuing up to devise more intuitive methods and interactive games, it is becoming increasingly important to create new types of gaming controls to help play them. It is easy to manipulate the movements when the protagonist is moving on the land in a particular game, but when he moves to the air or to the sea, it becomes difficult to translate the motions in all three directions. The Suma is a laudable effort to provide a 3D PC gaming control with squeezable user interface technology. The finger and hand grip movements are encoded in software form which helps to provide a sophisticated control of games and other computerized applications. Wacom Multi-Touch Display: The Future of Touchscreen Devices! Touchscreen technology has been widely used in many computing devices and has turned out to be hugely popular. The concept of getting applications open with just a finger touch appeals to everyone and the easier operation without having to click the mouse of press buttons yet carrying out regular tasks has its own charm. To mark the growth in touchscreen technology Wacom has now unveiled the multi-touch display. A technology still in its prototype stage, it can recognize multiple touches. While you operated on the touchscreens with just one finger, now you can use it like a key pad that converts your touch command and carries out functions. BORDEAUX, France, December 8, 2009 – Stantum (www.stantum.com), a pioneer developer of multi-touch technology, and Gunze USA (www.gunzeusa.com), a world leader in resistive touch-panel manufacturing, today announced a partnership to co-design and deliver multi-touch solutions to the North American professional market. · native Windows 7 support, with no driver required. The two companies will co-design multi-touch modules based on the joint expertise of Stantum’s seven years of pioneering, proven multi-touch experience and Gunze USA’s leading manufacturing of touch-panels solutions, its workforce and its know-how. Gunze USA will provide these custom multi-touch modules to the North American market for use in industrial, automotive, defense, aerospace, medical, kiosk/point-of-sales, and other professional applications. · ability to work flawlessly with gloves. With this agreement, Gunze joins Stantum’s growing network of qualified touch-solutions partners and will benefit from the multi-touch pioneer’s dedicated support and design services. Gunze (www.gunzeusa.com) is a world leader in resistive touch panel manufacturing. Gunze Ltd. Japan established Gunze USA in 1988 to better serve the needs of the North American market. Gunze works with OEMs and system integrators to design the most effective touch panel solutions. Gunze touch panels include polarizer and anti-reflective configurations with polycarbonate and glass substrates. Gunze designs and manufactures 4-wire, 5-wire and 8-wire touch sensors in their state-of-the-art facilities in North America and Asia for consumer electronics, industrial, automotive, medical, mobile, and POS/ kiosk applications. Stantum (www.stantum.com) has been the pioneering company in multi-touch technology since 2002, and in 2005 was the first company to market commercial products using a truly reliable multi-touch user interface. Today, Stantum’s patented and breakthrough multi-touch technology portfolio is available under license of IP bricks and associated engineering and design services. Stantum is headquartered in Bordeaux, France. Blow UI … a subset of acoustic touch sensing? Anywhere MultiTouch: Leveraging Acoustics With Aplomb! Since the day that the touch interface was first introduced, it has gained in recognition and functionality like nothing else. With a single touch being able to transform the entire display, navigation was becoming more natural and accessing the programs mere child’s play. In fact, touch sensitivity just got smarter with the installation of Anywhere MultiTouch, an extremely intuitive platform which uses piezoelectric sensors. The result of this innovation is that the entire device becomes touch sensitive instead of only the display. 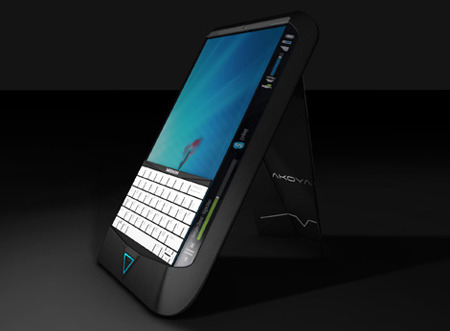 Sensitive Object is the French firm which developed this popular idea and now Motorola wants to capitalize on it. The technology involves deciphering the location of the touch through acoustic imaging. There are interesting articles discussing usefulness of touch in desktop computing environment [1-3]. The discussions are based on the usability of All-in-One PCs such as HP TouchSmart. All those articles say that it is not so convenient to use touch-enabled All-in-One PCs. Taha Bintahir has posted helpful references to build LED multi touch.